With NYT reporting that Citi uses FICO 8, it means Discover must be using it as well. There are WAY too many stickies in here. Great thread, yes but I agree with Repairer. What we need is one(or a couple more) consolidated sticky with links to these threads which are currently stickyed. Will make it much more clean and easy to navigate. I got an email today from myFico with a special Mother's Day 20% off code for a report and FICO score. The "perfect" Mother's Day gift: Buy her a credit report. 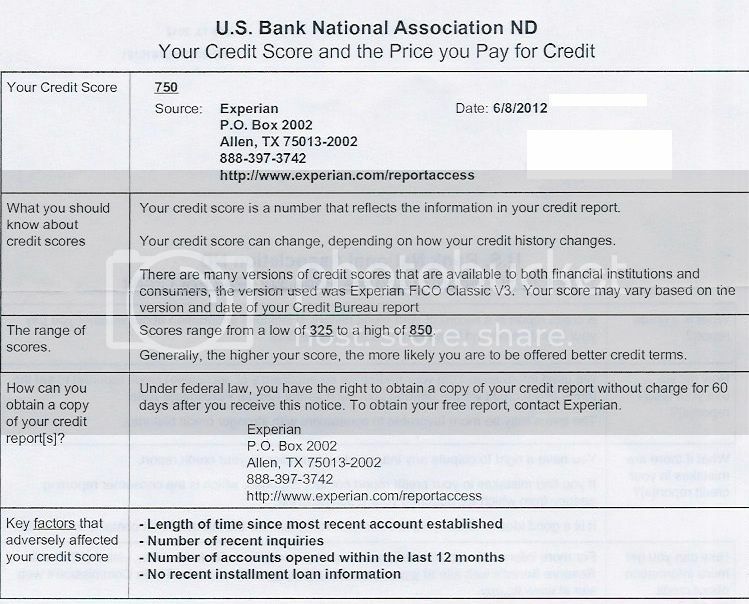 There was no hint at what type of scores these were, but both were said to come from the same credit bureau. Quite a difference between the two. Any ideas? No more applying for me for the rest of the year. Many of us used to lose 50 points with a new app and account. Are these ranges and the models exactly what was provided? If so, it looks like we have the mortgage enhanced scores. Got a disclosure from Alliant yesterday for an approved Credit Card. Nowhere did I see "FICO"
accurate assessment of that report at that point in time.  BEACON 09 scores range from 300 to 850. 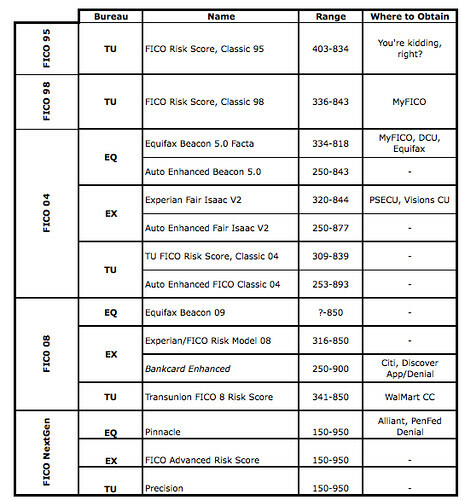  BEACON 09 Industry Option scores range for 250 to 900.
are still available however, they have not been updated since 2003. The FICO score doesn't come with the card and the terms. It comes separately. Thanks, if you have the score ranges for the mortgage pulls, can you post them as well? I only have the TU score range since it was my middle. I'll make sure to get the ranges for the other 2 on the next pull, I'm pretty sure they were listed but they only gave me the full printout for TU. how close is the barclays score to myfico.com TU score? When I applied around August of last year, the recon analyst gave me the exact TU score I had on myFICO. Sounds like Barclays may still be using TU98, something to keep in mind. 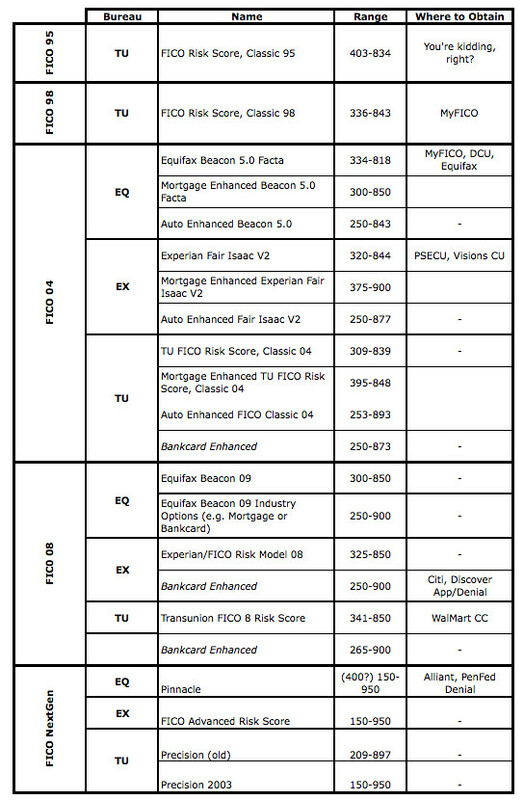 For a data point, I got the following from PSECU (EX) in conjunction with an auto loan application. "The agency reported your credit score to be 690 which falls within a range from a low of 300 to a high of 850." 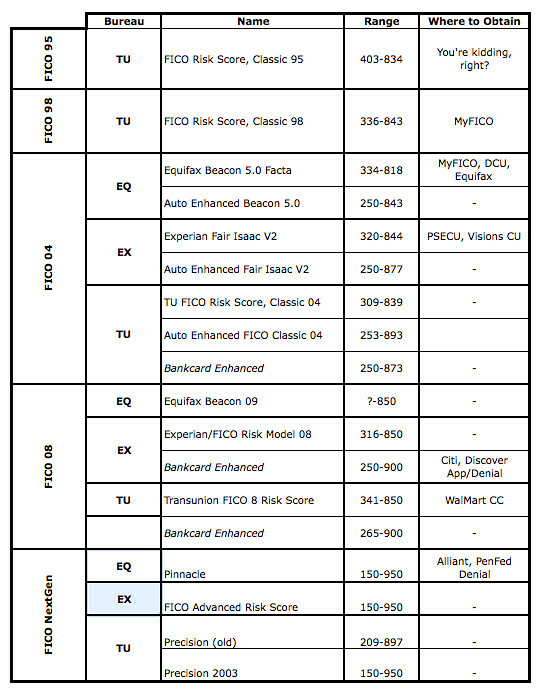 So where does this Experian FICO Classic V3 fit into Qwerty's chart since it appears to be a different score rance than Citi, Discover denial letters (FICO '08 Bankcard Enhanced)? Is it the same as the Experian/FICO Risk Model 08? Version 2 is FICO 04, so Version 3 would be FICO 08. Maybe qwerty can put that explicitly in the chart. Thanks Bob, I didn't want to ASSUME.